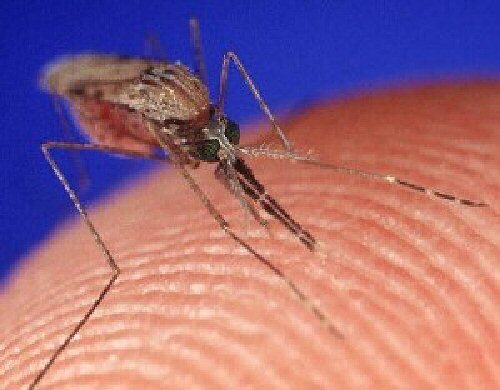 OSWEGO COUNTY – A sample of mosquitoes recently collected in the north-central area of the town of Palermo has tested positive for the Eastern equine encephalitis (EEE) virus, the Oswego County Health Department reported today. EEE was also found in three additional samples of mosquitoes collected from Toad Harbor Swamp. The West Nile virus was found near the county health department’s mosquito monitoring field station in West Monroe, marking the first confirmed presence of West Nile virus this summer in Oswego County. County Public Health Director Jiancheng Huang said the county and state health departments are collecting additional data and monitoring mosquito activities to determine the need for additional aerial spraying. Aerial spraying of 10,000 acres in the towns of Hastings, West Monroe and Constantia is scheduled to take place Friday evening, Aug. 14. – Drain standing water around the home to reduce mosquito breeding sites, and fix worn window and door screens to prevent mosquitos from entering the home. Residents living the targeted spray areas who have landline phones will be notified through Oswego County’s Hyper-Reach Broadcast Notification Service. Oswego County residents who would like to receive community alerts by wireless phones, text messages and TTY may register for the Hyper-Reach Broadcast Notification Service through the Oswego County E-9-1-1 Emergency Communications Department at https://secure.hyper-reach.com/comsignup.jsp?id=12481, or they may contact the E-9-1-1 administrative office at 349-8215 or 1-800-679-3911 and request a registration form. Landline phone customers do not need to register because their numbers are provided to the E-9-1-1 department by the telephone companies that serve Oswego County.